Eric Bianchi speaks at an Oratorio Reading on June 10, 2017 at Corpus Christi Church in New York City. Photograph by Leili Zhang. Professor Bianchi spoke between Part One and Part Two of Bassani’s Giona at the Oratorio Reading of June 10, 2017. His contextual talk was in place of the sermon that was often found between oratorio halves. He summarized his talk for the Academy Journal. Giovanni Battista Bassani’s Giona premiered in 1689, a banner year for musical life in Modena. Under Duke Francesco II d’Este, the court now employed 29 musicians, the largest size the ducal musical establishment would ever attain. The 1689 oratorio season witnessed, in just over a month, the premiere of 13 full-scale works, apparently all newly composed by Francesco’s musicians. Among these were two settings of the Jonah story requiring the services of two poets and two composers. This required an enormous outlay of funds, especially for a state that was roughly the size of Delaware. (In fact, a financial crisis later that year forced Francesco to cut by half both his musical staff and number of oratorios in the 1690 season.) 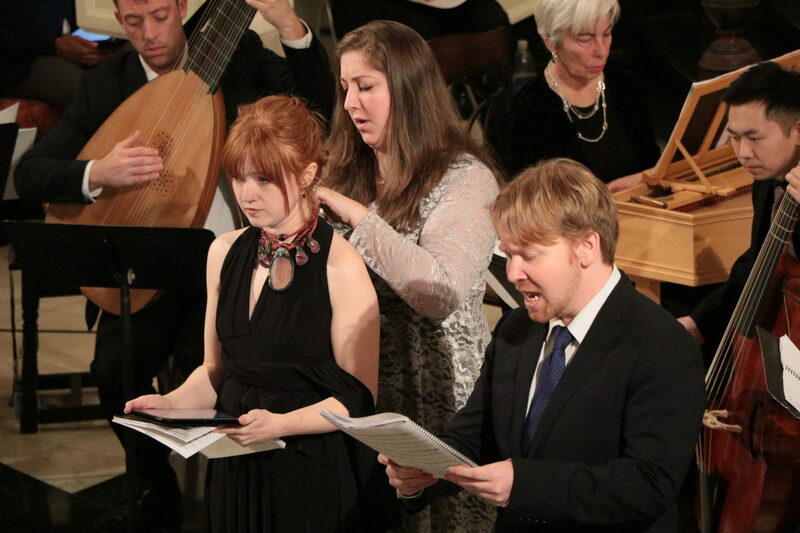 The lavish expenditure speaks to the importance of music, and oratorio specifically, in Italian cultural life. Why was oratorio considered worth the great expense? And how did composers like Bassani craft them? Bassani, though little known today, was well respected in his time. J. S. Bach studied a volume of Bassani’s masses (Acroama missale, 1709) while composing his Mass in B Minor; resonances of Bassani can be heard in Bach’s Credo. That said, Bassani exemplifies a typical (rather than extra-ordinary) seventeenth-century composer. He worked in a number of small city–states, and, although he published dozens of volumes of music, his patrons’ immediate needs and tastes dictated much of what he would write. This demanded stylistic flexibility: texted vocal music and textless instrumental music, secular and sacred music; music for court and Church; for public theater, private chamber, and semi-public devotions. Bassani’s Giona, like the late-seventeenth-century oratorio generally, bears the mark of composers’ wide-ranging activity—especially their work for the secular operatic stage. At first glance opera might not appear an obvious candidate upon which to model devotional music: these commercial dramas of romantic love and political intrigue attracted moral condemnation. Since, however, opera theaters went dark during Lent, the operatic oratorio offered a convenient and edifying substitute. Ambrosio Ambrossini crafted a libretto that focused more upon Jonah’s moral and emotional struggles than upon the “action” of the plot. Bassani provided arias and instrumental ritornellos to heighten the poetry’s emotional intensity. Together, word and music created a vivid, affective experience similar to that sought in the meditative and devotional practices of Jesuits and Oratorians. Thus, by borrowing from the poetic and musical language of the theater, librettist and composer drew listeners into Biblical dramas through an idiom they might recognize as their own. But why might the tale of Jonah, in particular, have merited two settings in Modena that season? Although the themes of Hope and Obedience, that Ambrossini emphasized, could have found almost universal applicability, they may also have held specific relevance for Duke Francesco in the spring of 1689. Just a few months before the premiere of Giona, his sister, Mary of Modena, fled the British throne in the face of the Glorious Revolution. The English monarchy was restored to Protestantism. Bassani’s pleasant music may have presented Francesco with an uncomfortable bit of Catholic propaganda: just as Jonah could not evade God’s command, so too must the ducal family ultimately prosecute the designs of the Church, come what may. Eric Bianchi received his Ph.D. from Yale and is currently assistant professor of Music at Fordham University. His work explores the intellectual and scientific contexts of music during the Early Modern period, with particular focus on the writings of the Jesuit polymath Athanasius Kircher. He has held research fellowships from the American Academy in Rome and the Italian Academy for Advanced Studies at Columbia University.